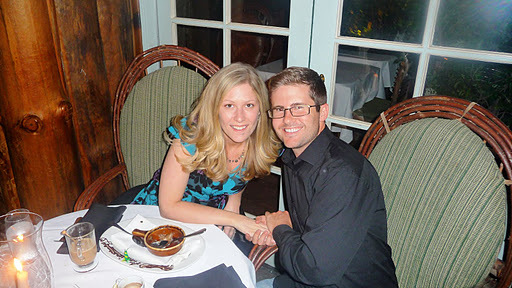 Today is our second wedding anniversary and oh is it sweet! 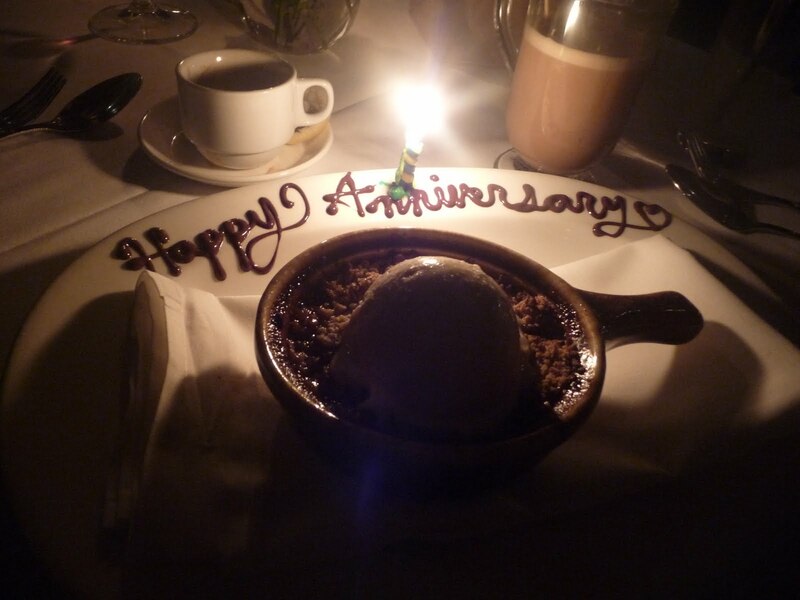 We celebrated last night at Saddle Peak Lodge, which was a serious splurge for us, but it was well deserved. This past week has been full of great news (that I will share soon) and we feel so lucky to have eachother. My husband gave me the necklace I’m wearing in the photo above with matching earrings. I gave him a video game. HA! We both loved our gifts, even though one was clearly more romantic than the other. Since tonight is our real anniversary, we’ll cook at home, exchange cards, and put our yearly photo in the album my friend Jessica gave us. Each year we put a photo from our anniversary in it and write a little description of how we celebrated. It is a sweet tradition and one that will be amazing to look back on after many years of marriage. Happy anniversary babe! I love you more each day and can’t wait to see what the future brings for us! Happy Anniversary to both of you!! I love you both very much. Sounds like you had a well deserved celebration dinner. 🙂 Looking forward to dinner Friday!! Happy Anniversary! Can't wait to hear your great news! So happy that you use the book!!! We have a (much) belated anniversary dinner out planned next weekend. Will post our pictures soon 😉 love you guys!! !